Last week I was checking out Jeremy’s site (GearPipe.com) and came across a great little podcast, where Jeremy interviews Mindy Abovitz of Tom Tom magazine. I gave it a listen, and I was liking what I was hearing. 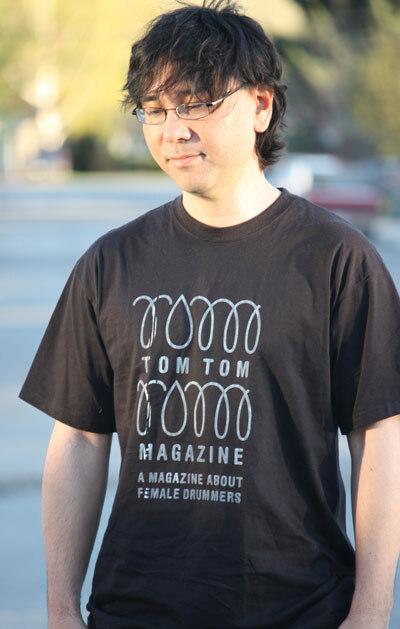 Basically, Mindy (who is a drummer) has passionately created her own print magazine (and a website) that celebrates female drummers out there. I like to hear about stories of people into what they do.. and make something of it! I have a 4 year old daughter, and she loves banging on the drums. She can also maintain some time, which I’m still quite surprised with. I often think it would be cool if she got into it, and just like guitar, it’s good to have role models to help inspire and encourage your dream of playing a instrument. There are not many female drummers out there (I only know of one personally) so it’s great to have a place where they can share a voice. So I’m really happy to help spread the word of Tom Tom! If you have a few moments, please check out TomTomMag.com and tell Mindy that EffectsBay.com sent ya! Visit Tom Tom Magazine on Twitter and Facebook. After recording the podcast she sent me the first two issues of Tom Tom. It’s a great magazine, huh? Well written, beautiful photos, very artsy! I’m looking forward to issue three, which comes out in less than two weeks. .-= Jeremy Brieske´s last blog ..Acoustic Guitar Giveaway! Win an Epiphone Dove Acoustic Guitar =-.